Country. On June 18th my next eMi team will be traveling to the Democratic Republic of Congo. Our final destination will be Boma, a port city on the tiny western Atlantic coastline of the third largest country in Africa. This is a country that has been devastated with military strife, poverty and HIV/AIDS. Although it is blessed with an abundance of natural resources, the power struggle to control these vast resources has also been the root of much of the conflict. From 1998 to 2003 the country suffered through the Second Congo War, often referred to as the African World War. Although treaties were signed in 2003, related fighting still persists in the eastern portions of the country. Our team is going to the western edges of the DRC, which has seen little of the recent unrest. Ministry. FACTEB seminary school was founded close to 30 years ago and today is showing the ill effects of age, of war and a lack of resources for regular maintenance. But with the peace that has come to this region in recent years there are now new efforts underway to restore, and indeed increase, its capacity as a place for higher education and the training of pastors and biblical scholars. 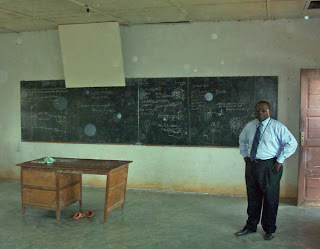 Dr. Mabiala Kenzo, a professor at Ambrose University College has recently moved back to his homeland to become the Rector for FACTEB and is our main contact for this project. Funds from sponsoring groups such as the Christian and Missionary Alliance of both Canada and the USA are ready to be released. However, funding groups have been reluctant to release resources while FACTEB is lacking a long-range strategic plan for the redevelopment and growth of its facilities. Goals. The plan of our eMi team is to come alongside the administrators of FACTEB seminary to produce such a set of documents. These will include written analyses of the existing facilities, recommendations for the renovation of existing buildings, design for high priority new buildings as well as construction budgets and phasing strategies. The team will also produce a new overall master plan for the campus. Phase One will be what the ministry can realistically build in 24-36 months. Beyond that, more eMi teams can be sent to design subsequent phases in detail and also revisit the master plan, as there are likely to be changes in scope and/or vision as the seminary grows. Meeting Additional Needs. In a country torn by strife, poverty and disease, leadership that brings hope and a foundation for peace is greatly needed. The graduates of FACTEB seminary will strive to meet that need with spiritual leadership in the churches and in the community. Biblical teaching and pastoral training will always remain the primary focus of FACTEB. 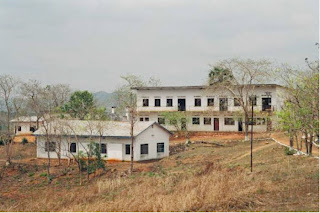 However, with a property that is close to 80 acres in size the seminary wants to also explore other avenues for meeting need in the local context, such as vocational training. The eMi team will investigate the potential for incorporating vocational training on the campus property. Vocations that pertain to construction can be used to benefit the reconstruction of FACTEB and provide important jobs and training for the local population. Such facilities could also be a source of monetary funding that can be put back into the seminary. Prayer Items. The team will be traveling by both road and domestic air transport. Please pray for travel safety for the team, unity as we endeavor to serve the seminary and both vision and wisdom in our work. Thank you to all who continue to support my work and my family through your donations and prayer. I am thankful for each of you as I go to serve wonderful ministries such as FACTEB in the DRC.